If you are installing a motor and there is no other access into the garage aside from the garage door (i.e. 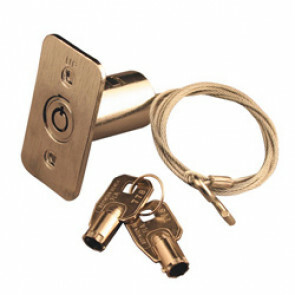 no seperate personel door) you will need this key system so you can operate manually in the event of a power failure. Suitable for Retractable/Sectional/Roller motors but NOT Thermaglide motors (they have a seperate system and require a different EMR).